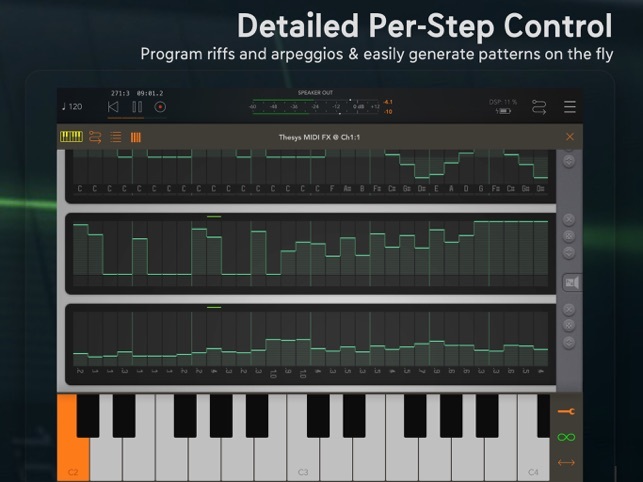 Thesys is an extremely powerful and intuitive MIDI Step Sequencer app, giving you control over just about all aspects of your favorite MIDI devices. Use Thesys to create varied and organic bass lines, screaming leads, pulsating chords, and organic pad sounds in the studio or on stage. 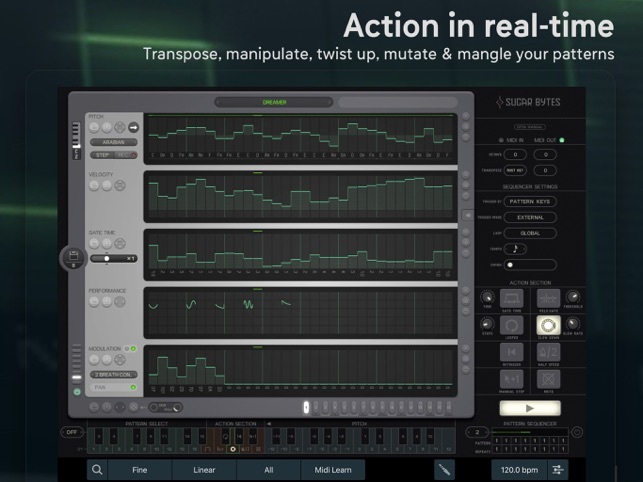 For live musicians, Thesys provides an extremely versatile palette of performance options which can be triggered right from your MIDI keyboard: you can transpose, manipulate, twist up, mutate, and mangle your patterns without even getting near your iPad. 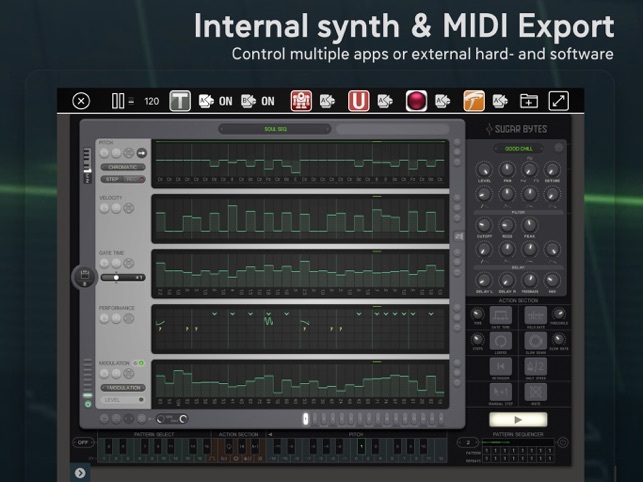 No other MIDI sequencer plugin offers you the ease and power of Thesys. 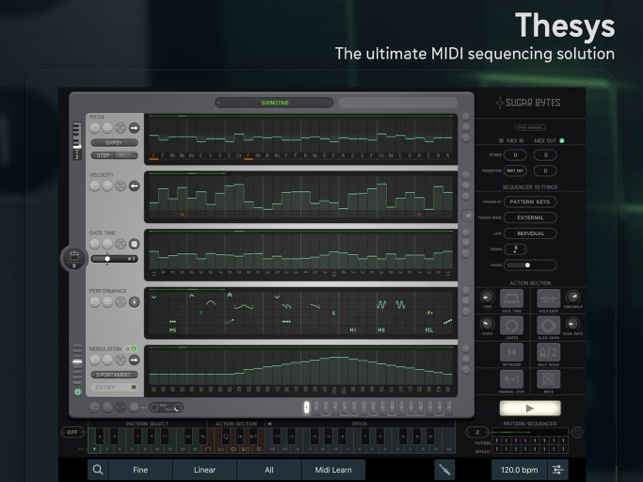 It is 100% MIDI compliant and therefore provides the ultimate MIDI sequencing solution. !!! Attention: Please be aware that existing IAA and Audiobus sessions won't work anymore !!! When using your existing Audiobus 3 session that uses Thesys IAA, you need to save within Thesys the corresponding presets you’ve made BEFORE you start the update to version 1.3.0! 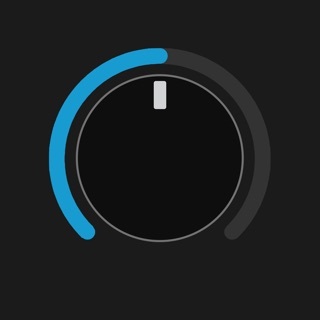 This is the best featured step sequencer in iOS, to this day. 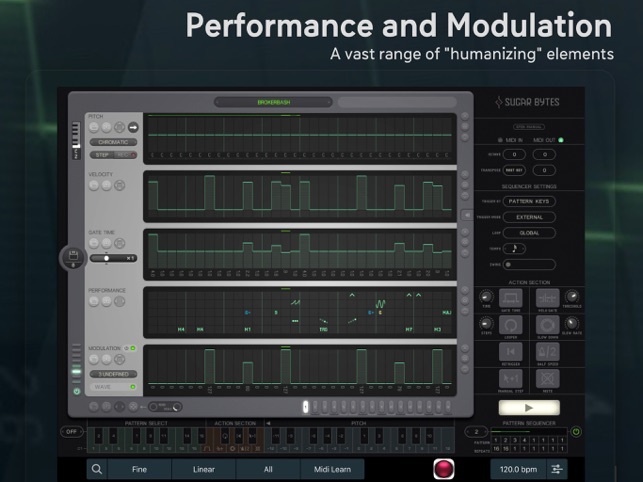 Has a bunch of modulation lanes, 32 steps, independent lengths for different parameters, scale quantize, scalar transpose, song mode, dj-style midi effects. All amazing, next level stuff, crammed into the most uselessly tiny interface, and ill conceived zoom workarounds. Be ready for bumping adjacent controls all the time and screwing up your sequence. I use it sometimes, and it ends up sounding great, but I loathe the experience. It doesn’t need to be this tiny, there is all kinds of wasted space, and needlessly compacted, dangerous to mix up groups of buttons, in fields of unused white space. It was ported from the desktop, and was never designed for a touch screen. If you could expand the sequencers to fill the screen you would be set, I think. Replace the dreadful PC key modifiers, Cmd, Ctrl, Alt, with traditional touch interface modifiers, like tap and hold, double tap, etc. In an effort to use the app, I’ve gone to great lengths to midi map the controls to a midi controller, but, there is no way to reuse the midi mappings from one project to another, and there is no default mapping. I would avoid this app on anything except the 12.9” iPads. The latest update to AUv3 has made it possible to run multiple instances of Thesys inside a NanoStudio 2 session, so you can compose multiple melodic parts together. The desktop interface is quite tiny on an iPad, though—if you have an Apple Pencil, you’ll want to use it. No way to import midi? Can’t open midi files from within the app or in iOS file share “copy to”. Just like all the other sugarbytes apps, low resolution, and works well with just about no other apps. Not having a file folder accessible from AudioCopy or AudioShare kind of makes using your apps unbearably tedious, terrible to incorporate into work flow. Your VST plugins all work great, hire a guy like that for your iOS versions and you’ll have some of the best apps.